France climate is a temperate one and the weather forecast France varies with the season. The temperatures below are listed in Fahrenheit. Click on the temperature banners for full forecast details. Below is the weather forecast France for popular holiday destinations. The French Riviera which includes Nice, is one of the warmest areas in France year round. 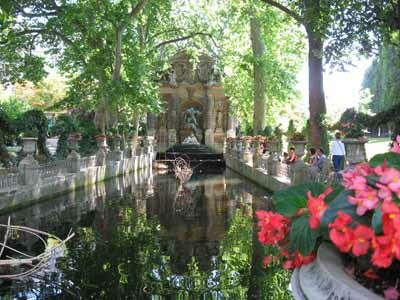 Spring is a great time to visit with the start of outdoor activities and Easter in France is a very festive. 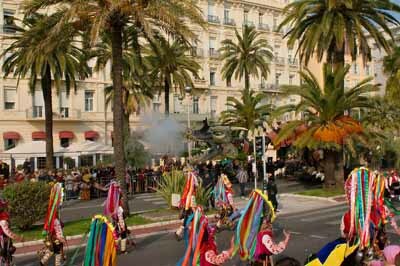 Mardi Gras starts the Easter season in Nice – very popular time to go there. Lots of fun. Brittany France is my favorite place. Sunny days and rainy days with a moderate climate. A French joke about Brittany weather is that you have two seasons, winter and August 15th. 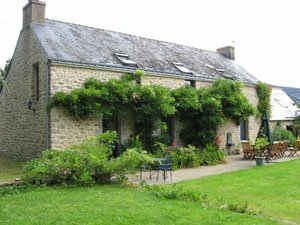 A Self Catering Brittany cottage in August. Normandy shares the same kind of weather with Brittany. 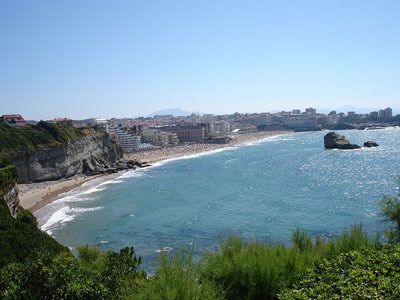 Biarritz is the surfing capital of Europe. 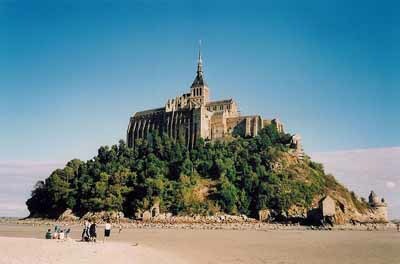 The French beach is a popular and beautiful destination be it the Atlantic, Mediterranean coast or the beaches on the English Channel. This part of France experiences snow in winter and beautiful alpine summers. 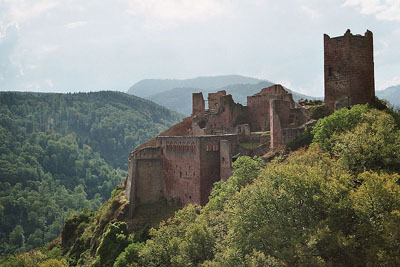 For a closer look at Alsace see our Alsace map. The most yearly snowfall in France with lots of skiing plus in summer, alpine hiking. Mont Blanc is one of the famous places in France, the highest point in the Alps. It’s important to choose a good road map France so you find your way with confidence. Here’s our best of.